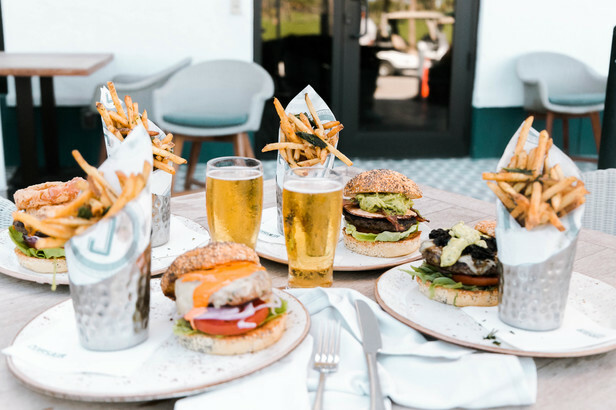 May is National Burger Month, and here in Miami, there’s no shortage of dining establishments ready to help you celebrate with their mouthwatering renditions of the all-American classic. Stop by our own BOURBON STEAK or CORSAIR kitchen & bar, for Florida’s most crave-worthy organic ground beef - grilled to perfection and adorned with the combination of farm-fresh fixings to suit your unique taste. As an added treat, guests who snap a pic of their burger for Instagram and tag our restaurants will enjoy 20% off of their next burger order! If you’re looking for a more casual dining experience, you’re in luck, as Master Chef Michael Mina (of Bourbon Steak fame) is also the culinary wizard behind Pizza & Burger at Fontainebleau Miami Beach, where haute cuisine meets home cooking in a relaxed and lively atmosphere. And of course, you can’t go wrong with Shake Shack in Aventura Mall where “great food served fast” is a motto to live by.